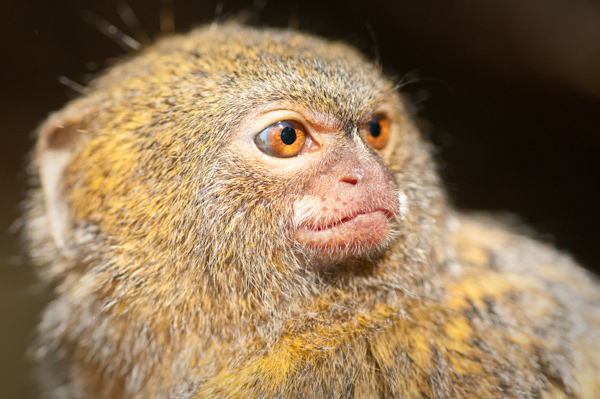 Pygmy Marmosets are the smallest of all Monkey species in the world and can be found in forest areas of South America. They are tree dwellers and feed on gum, fruits and nectar. The male, who is dominant in the species, usually carries the infants.